Welcome to this week’s Wednesday Watch List, where I share the random things that captured my attention and stole my heart over the past week! It’s likely I say this every month, but seriously, how is it already August?!? I’m completely in shock and denial. But, we plan to make the best of what’s left of summer! Now, on to today’s picks! 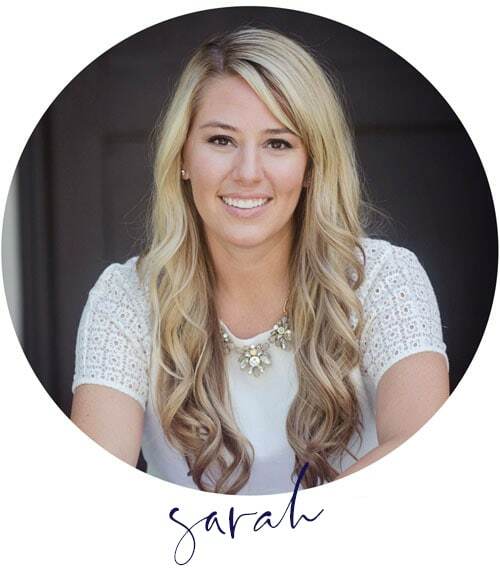 1 – Loving this fun collaboration between Sarah Bartholomew and Pottery Barn! I think the rug is one of my new favorites! See the full collection here. 2 – The Nordstrom Anniversary Sale ends on Sunday, so I’m in a last-minute scramble to make sure there isn’t any thing else I “need” before prices go back up. 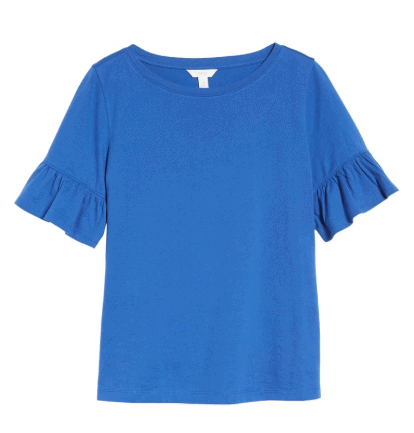 I just ordered this ruffle sleeved top (in pink bodacious, not the blue color shown) and I hope it’s as cute in person! It comes in six colors and seems to be fully stocked at this point! 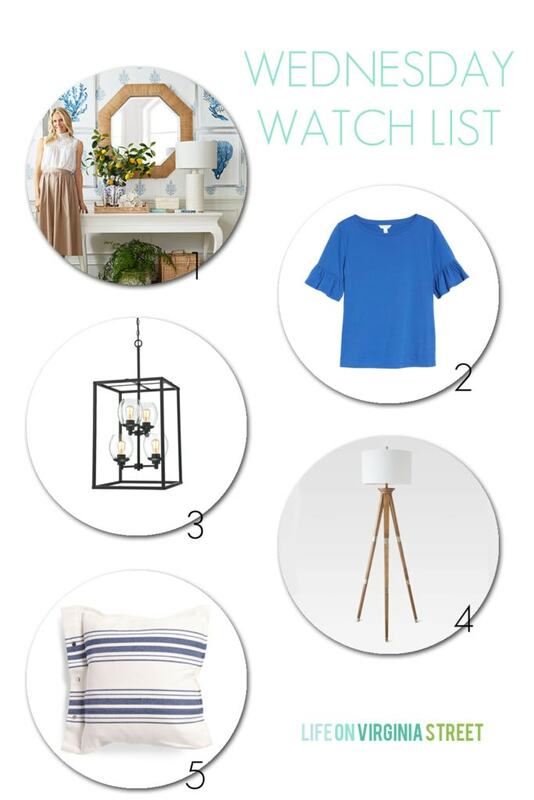 You can see all of my other top picks and fit tips here. 3 – We have a vacancy coming up in one of our rental homes. We know we need to do some updates before we rent it out again and I’ve been on the lookout for good lighting options that work well for a lot of decor styles. 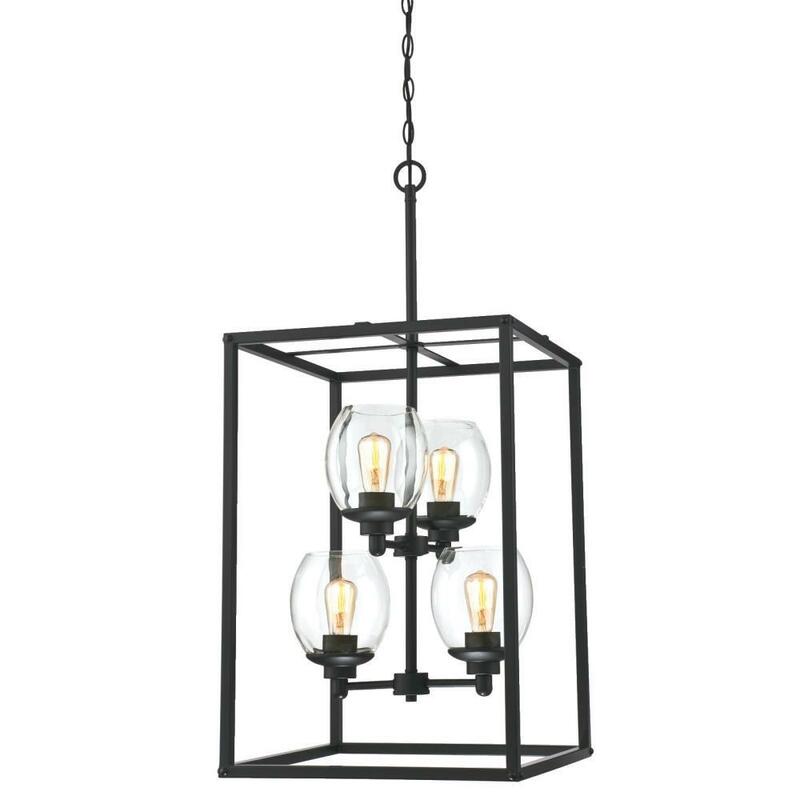 I’m thinking of this matte black lantern for the entryway. I’d likely remove the glass bowls around the light bulbs and I think it could then be a really great, modern yet traditional option! 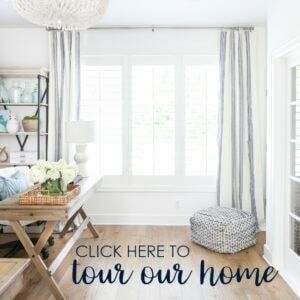 4 – I’ve eyed these wood tripod floor lamps for some time, and then I saw them in the Street of Dreams home I photographed last weekend and fell in love! 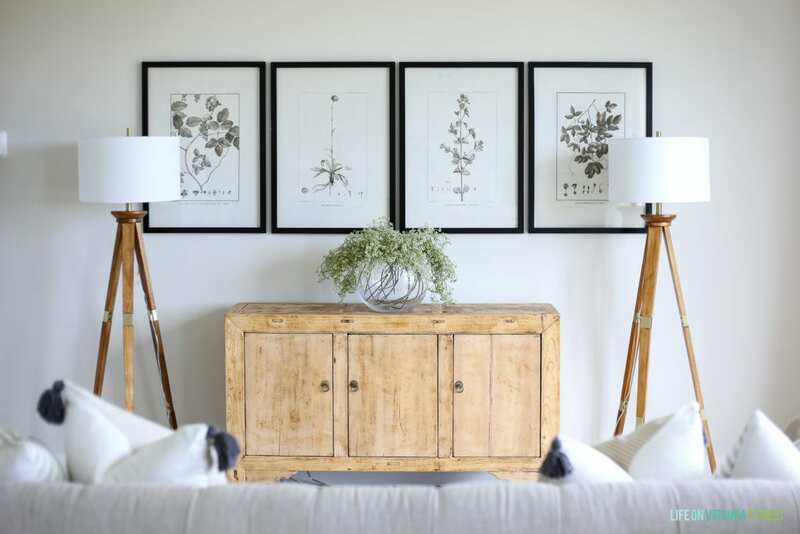 I love that they add a warm layer to the room and still look modern and current. I’m thinking we may need one in our living room! 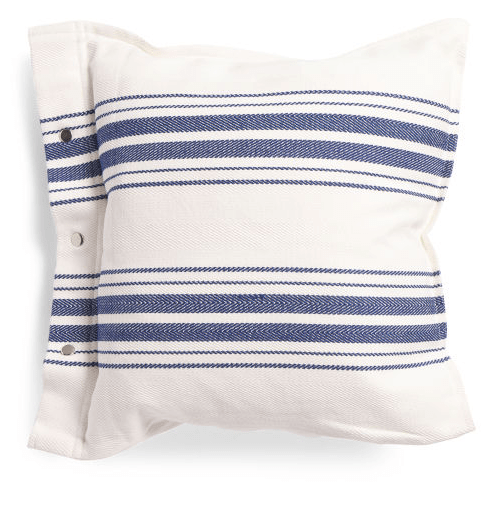 5 – A fun oversized striped pillow at a great price! You can’t beat that! They’d be perfect on a bed or sofa.